It is time to Trust Women! 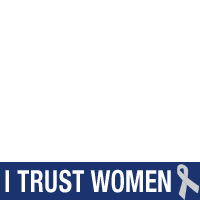 Show your support for reproductive health care and women's rights by wearing a silver ribbon from January 22nd - 28th. Not only can you show your support with one of our Twibbons, but also if you donate $5 today to one or all of our partner organizations to receive a free silver ribbon. Please go to www.trustwomen.org to find out more!